About two-thirds of the way through my summer graduate course on the Expansion of Europe in the early modern era we have already identified three examples of early branding, at least a century before this modern form of advertising is supposed to have been invented. First, we have the logo of the Dutch East India Company, very visible on all Company ships from the early seventeenth century, then we have the brand of piracy, the immediately-recognizable skull-and-crossbones, and last but not least, Josiah Wedgwood’s abolitionist medallion, first appearing in the later eighteenth century in Britain and then crossing the Atlantic to appear in American anti-slavery materials. 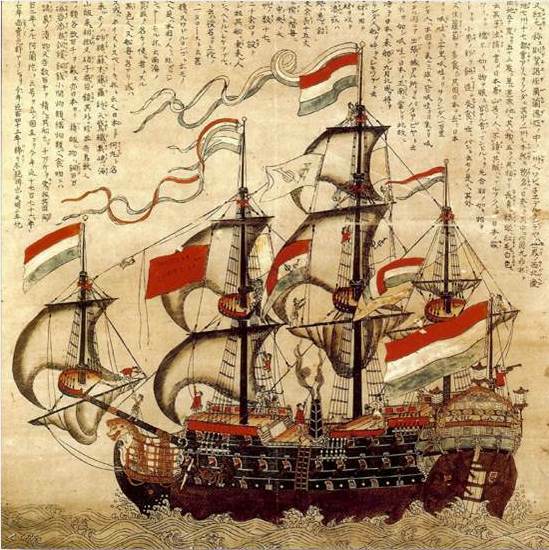 Everyone is familiar with the pirate flag, and I wrote an earlier post on its early history. 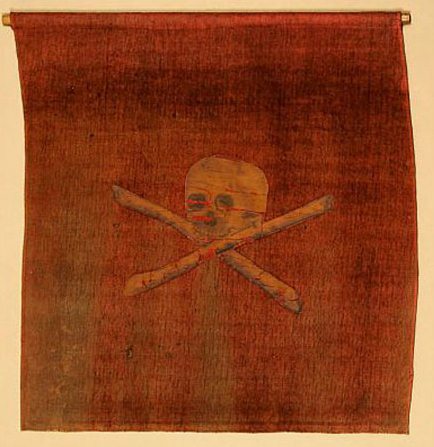 The flag below, dating from the later eighteenth century, is from the Museum of London’s ongoing exhibition Pirates: the Captain Kidd Story. This logo’s evolution from piracy to poison is another story altogether. 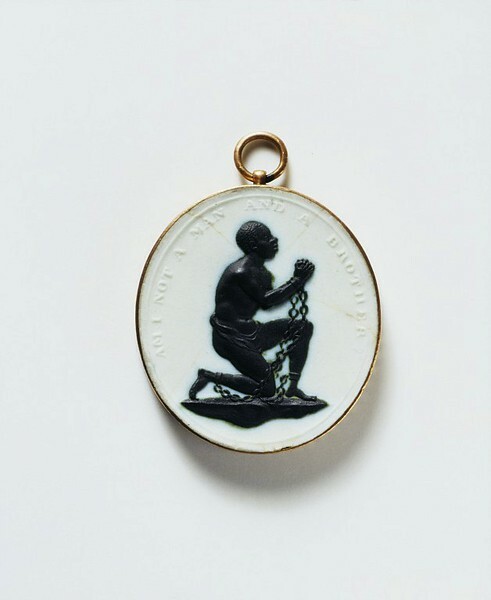 And here is another famous eighteenth-century logo,one of the first political brands and a transatlantic one at that: the pioneering industrialist Josiah Wedgwood’s Am I Not A Man And A Brother medallion, made for the Society for the Abolition of the Slave Trade in the 1780s. It became very fashionable and effective in Britain, and crossed the Atlantic after 1800. 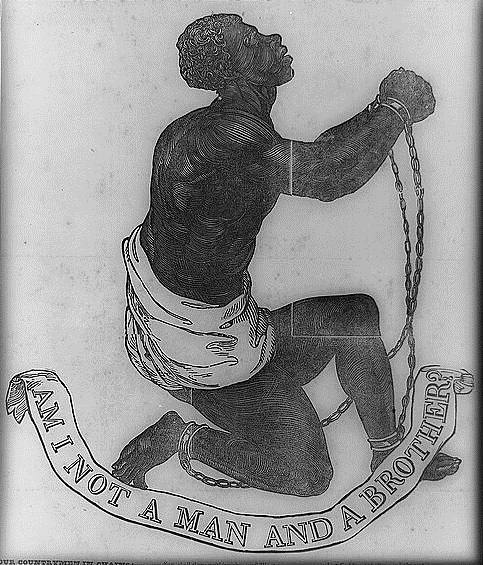 Below is an original Wedgwood slave medallion from the Victoria & Albert Museum, and a woodcut illustration from John Greenleaf Whittier’s 1837 abolitionist poem Our Countrymen in Chains (Library of Congress). 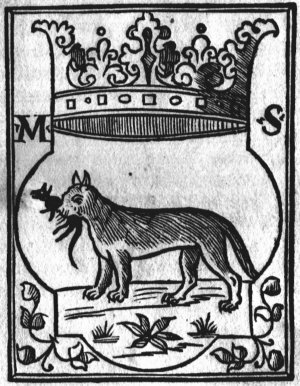 These examples certainly predate modern advertising, but I think we can go even further back to see the origins of branding, at least to the emergence of printing and printers’ trademarks, or devices, in the fifteenth and sixteenth centuries. Unique devices were fashioned by printers as marketing tools in this competitive new industry, and discerning buyers/readers would look for established marks. 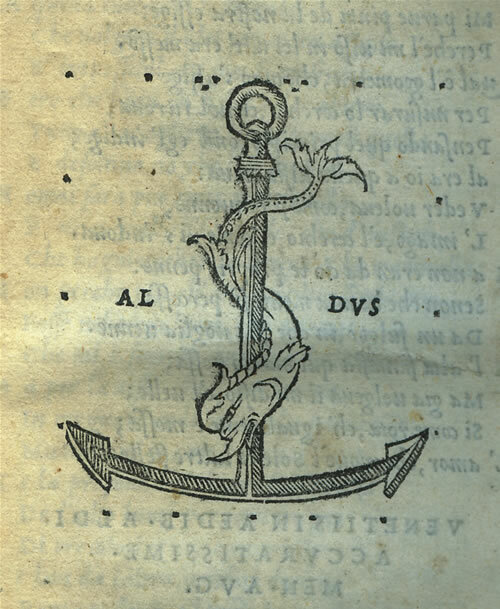 The dolphin and anchor device of the famous Venetian printer-publisher Aldus Manutius certainly helped to establish his “brand”, but my favorite device is the cat and mouse (rat?) 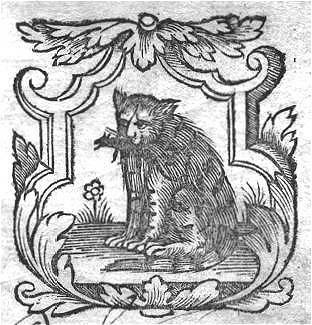 mark of his fellow Italian printer Melchoirre Sessa (fl. 1510-35). 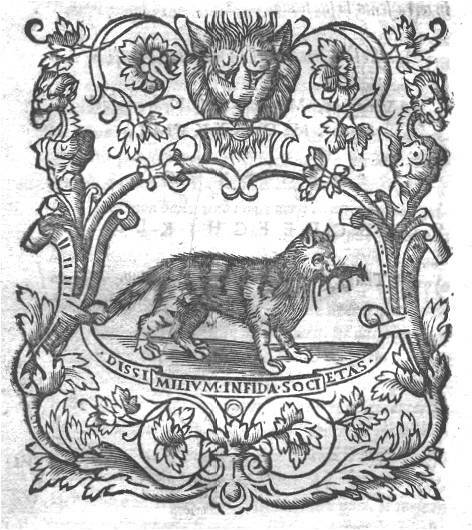 Sources of Devices: “First Impressions” Digital Exhibition at the John Rylands Library of the University of Manchester (Manutius–you can also make your own mark there) and the University of Florida’s Printers’ Devices Database (Sessa). 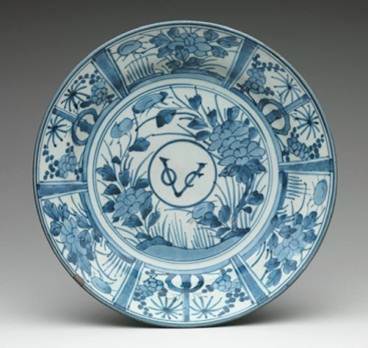 This entry was posted on Monday, July 25th, 2011 at 7:22 am	and tagged with abolitionism, advertising, Antiques, Japan, print culture and posted in Design, History. You can follow any responses to this entry through the RSS 2.0 feed.